Typing out a long document from an Image file is a tedious task to say the least. Therefore, it is often convenient to convert the JPG Files to Word Files and then edit them. This saves both time and helps us to avoid unnecessary errors that might creep in while we type. So now the question arises, how do we Convert JPG Files to Word files. Well, there is a technology that allows us to do so. It is called OCR or Optical Character Recognition technology. This technology is used to convert image files into editable text files. The tech, by itself, cannot convert the files. 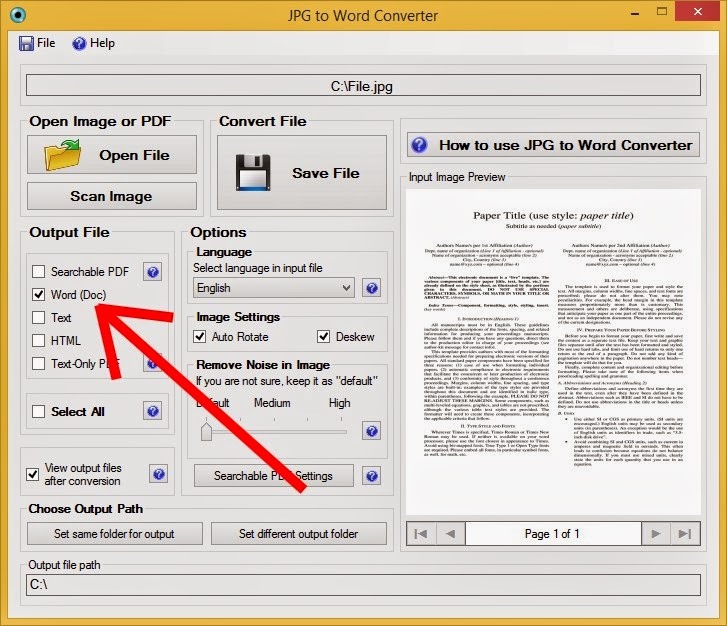 A converter harnesses the power of OCR and converts a JPG File to a Word file. 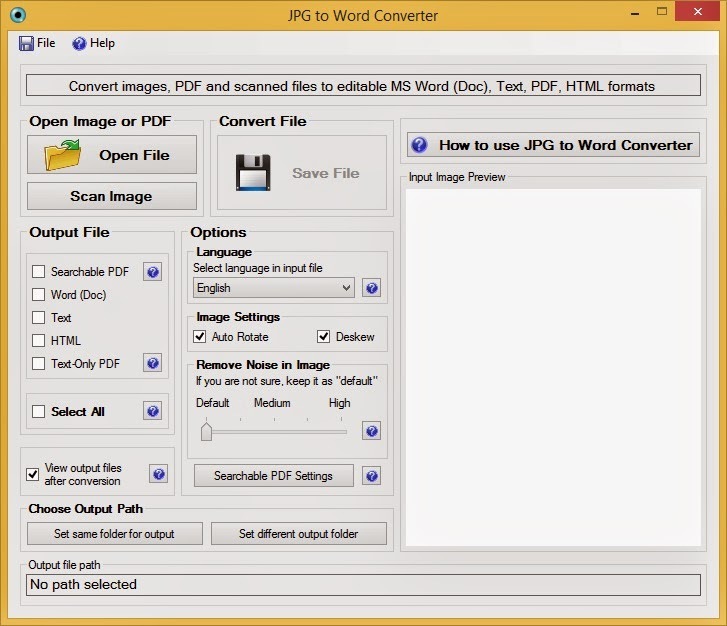 There are mainly two methods to convert JPG Files into Word Files. One way is to use online tools like onlineocr.net to convert your files. But the online converters suffer from a flaw. They can only be used when you have an active internet connection. This problem is overcome by using downloaded OCR Software. They can be used offline and you just need to download them once. There are many OCR software in the market that help us to convert our files into images. All of them are equally efficient in conversion. 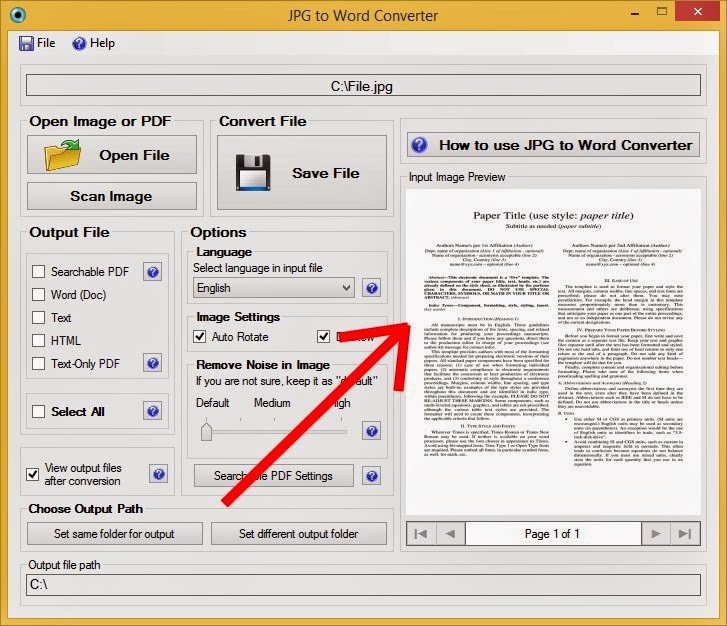 To avoid confusion, we will focus on one software, namely, JPG to Word Converter. To get started firstly download the software to be used. Below are links to download the software. After downloading the software, follow the following steps. 2. Once you are on this screen, next thing is to open your image to be converted, you have two options to open the files. Either open a saved image from your disk/computer or directly scan a file from your scanner. 3. After scanning, you will have to select the output format. Since we want a Word file, check Word which is .doc extension.. Finally select the language your input file is in. Here it is in English so select English. Now all you have to do is to click the save button. That’s it! The program will save the output file to your desired destination. Note that the converter will only work well if the input image quality is good. The OCR cannot recognize broken or bad characters. Therefore care must be taken to provide a good quality input image to the converter. Adding a password to the output file to prevent unauthorized access to the file. And that is how you Convert a JPG File into a Word File. Just Simple like that Isn’t it? This tool really works well to get images converted into editable word formats.